Humanistic Management Professionals Lunch and Learn -Ethical Wages and Good Jobs with Dr. Benito L.
Please join the International Humanistic Management Association for a live online lunch and learn with Dr. Benito L. Teehankee as we discuss ethical wages and good jobs. 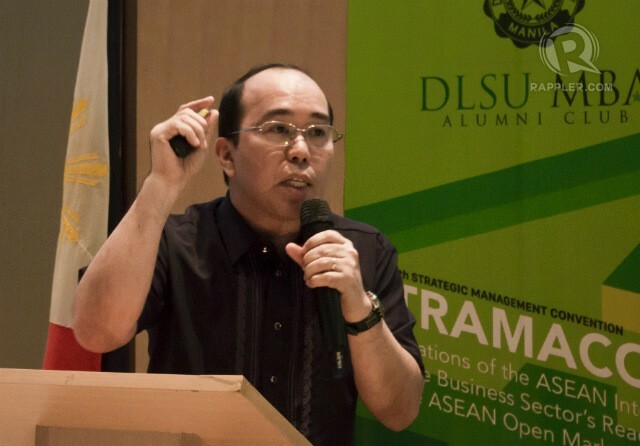 Dr. Benito L. Teehankee is a Full Professor in the Management and Organization Department of the Ramon V. del Rosario College of Business, De La Salle University. He teaches courses in strategic management, corporate governance, action research, and ethics. His publications include "Towards a common good model of the firm" with Sauler & Abueg in the DLSU Business and Economics Review (2014); "Tracing the history of the triple bottom-line paradigm for business success" in Rethinking business: Responsibility and sustainability; Governance and finance (2014), "Workplace spirituality" in Understanding the Filipino Worker and Organization (2014); "Institutionalizing faith-based management education in a Catholic university" in the Journal of Catholic Higher Education (2013); "Humanistic Entrepreneurship" in the Asia-Pacific Social Science Review (2009); "Why should corporations be socially responsible?" in Doing Good in Business Matters (2008); and "Corporate governance" in Essentials of investments in the Philippine capital market ( 2011). He was awarded a Special Citation for Best Business Column by the Catholic Mass Media Awards (CMMA) in 2009 for his article in The Manila Times' Managing for Society column. In 2013, he was awarded by the Financial Executives of the Philippines (FINEX) and Deloitte as Outstanding Educator in a Finance-Related Field: Special Award for Corporate Governance Studies. He has served as speaker or consultant to various private, government, and educational organizations including Globe Telecom, PLDT, Siemens, Andersen Consulting, Bangko Sentral ng Pilipinas, World Health Organization, Bureau of Food and Drugs, Department of Health, and the Department of Interior and Local Governments, among others. He is a member of the Board of Trustees of University of San Carlos; Shareholders Association of the Philippines (where he chairs the Research Committee); and the Philippine Academy of Management. He is a member of the Ethics Committee of the Pharmaceutical and Healthcare Association of the Philippines (PHAP). He serves the Commission on Higher Education (CHED) as member of the Technical Committee on BSBA and Entrepreneurship Education, and the Technical Working Group on Institutional Sustainability Assessment. Internationally, he is a governing member of the International Humanistic Management Association and the Action Research Plus Network. He is a member of the Academy of Management.